From From blues legend BB King to pop-icon superstar Elton John, 09 musicians have been singing-and singing sad songs for decades. In this volume, contemporary visual artists investigate sadness through painting, sculpture, photography, and video. 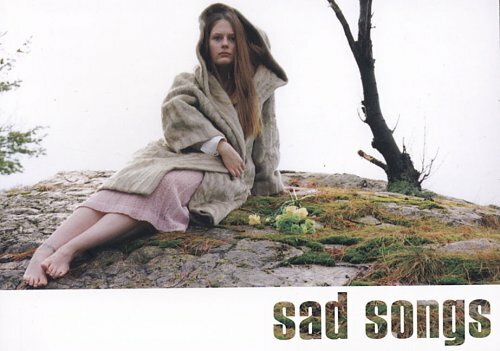 Sad Songs features a diverse collection of works unified by their melancholic tone and characterized by isolation, nostalgia, and emotional desperation. From Katy Grannan’s haunting photographic portraits in which the subjects are locked in some mysterious exchange with the unseen artist to Keith Edmier’s sculptural meditations on lost adolescence, the artists here continue a long tradition of romanticizing the somber. Also included are Justine Kurland, Jack Pierson, and Robert Blanchon.